The NDDC scheduled a visit with Ace Hardware Store Manager Glenn Behrens for last Thursday. It was the morning of Winter Walk and everyone was pretty busy. That’s okay, Glenn, Keith and I had a heck of a good time. 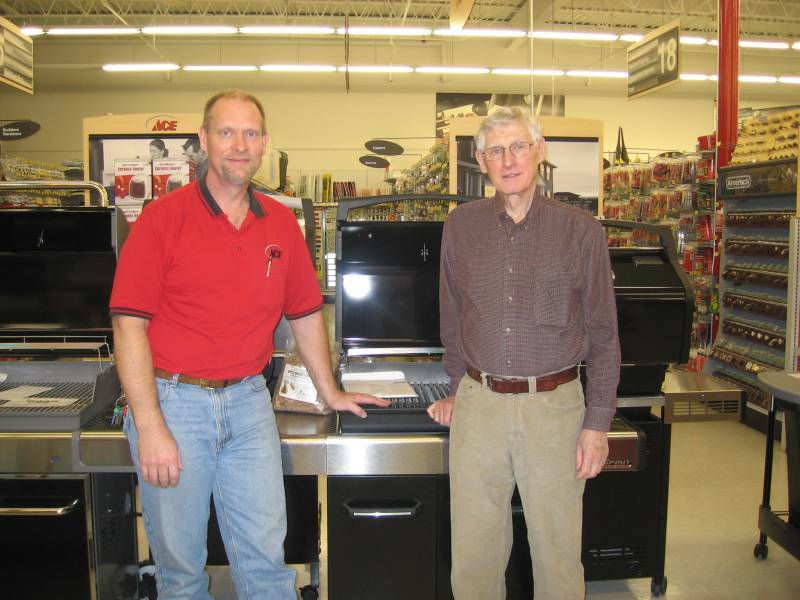 Glenn has been in the hardware business for 19 years. He’s lived in Northfield for 11 years and has managed the local store for the past two years. He said that during his career he’s been to 350 hardware stores in towns about our size. Glenn thinks we’ve got a pretty good thing going here. He notices visitors taking pictures of our downtown and when out-of-towners stop into his store, they’re filled with praise about the community. The St. Peter-based company that owns our hardware store believes that downtown Northfield has a bright future too. Of the nine stores in the corporate portfolio, they selected Northfield as the community for a recent major investment. Glenn believes that he’s lucky that Ace took a space that was being used as a hardware store and that it was a relatively new building. He thinks it would be challenging to try to adapt and reuse a historic building in Northfield for retail, much less a restaurant. He loves being part of downtown and really enjoys all the events, festivals and promotions that we have in Northfield. Glenn also said that his employees appreciate all the restaurant options that are available for lunch. When asked what we might work to add to the mix in downtown, Glenn suggested more activities for kids. In fact, our line of discussion made me think that maybe we should consider bringing in hot rods, classic cars, or Model-T Fords once a month in the summer.